Veterinary Sales Rep Jaclyn Goldman has spent the past 10 years as a sales rep in Canada. Business Travel Life caught up with Jaclyn while she was en route to the airport, and she happily shared her secrets for avoiding the temptation of fast food when you are on the go. In the last 10 years, Jaclyn Goldman (aka The Travelling Saleswoman) has gained and lost 40 pounds while living life on the road as a Veterinary Sales Rep for Trutina Pharmacy. Her territory is all of Canada, and she may be on the road for four weeks at a time, staying in a new hotel each night. 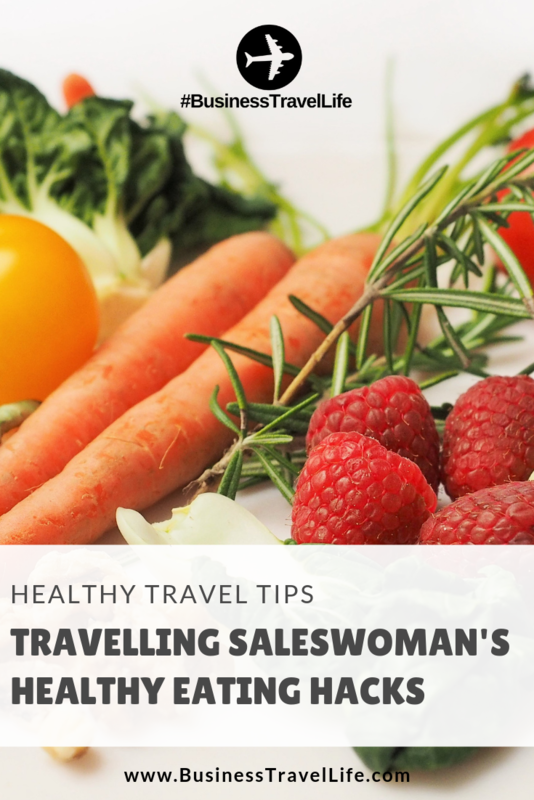 Not unlike other business travelers her routine of dining out, not taking time to exercise and indulging too frequently caught up with her after two years on the road. When the scale showed that she was 40 pounds heavier than her pre-business travel weight, she immediately took action. She hired a trainer who she works out with at home. “My trainer puts together some workouts for me to do when I travel as well.” Frequent check-ins with her trainer help to hold Jaclyn accountable. Jaclyn also realized she needed to stop dining out so frequently. She created a standard grocery list, and as soon as she picks up her rental car, she heads straight to the grocery store. 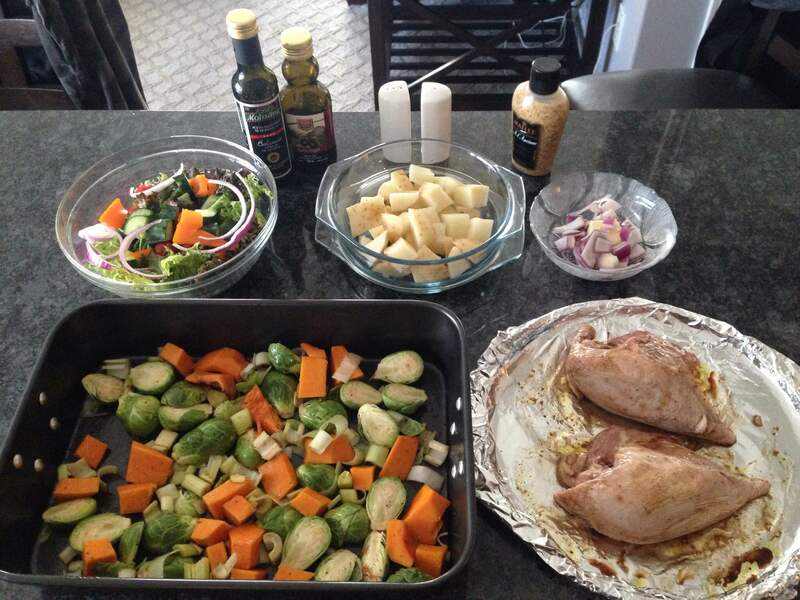 “It is time consuming to grocery shop and cook food when I travel, but it is worth it to improve my health,” Jaclyn said. Having prepared food with her is also beneficial when she is visiting accounts in the back country that are hours from restaurants. 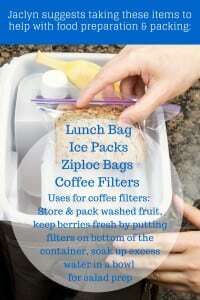 She suggests adding a large reusable grocery bag to your packing list for easily transporting your food. A recent dinner of chicken and veggies that Jaclyn prepared in her hotel room. She has a standard grocery list that she uses each week. She mostly purchases whole food items like oatmeal, milk, fruit, salad mix, olive oil, vegetables, and chicken. Jaclyn is able to expense her grocery items as meals. Certainly her company appreciates the savings as she reports spending $85-$170 (Canadian) for a three or four day trip. Jaclyn says her favorite meal to cook is chicken fajitas. Of course there are times Jaclyn entertains clients with meals out – she is a sales rep! But, she is quick to say that treating clients to dinner does not mean she overindulges. She sticks to healthy entrees when eating out in a restaurant as well. You can follow Jaclyn on Facebook, Twitter, and her blog, TheTravellingSaleswoman.com. Business Travel Life is an online resource supporting the road warrior lifestyle. We give business travelers the tools they need to maintain their wellness and productivity when traveling. The topics we cover include business travel tips, travel workouts, healthy travel hacks, travel products, general travel tips, and industry trends. Our goal is to make business travel a healthier experience – and to make healthy travel practices more accessible to all road warriors. Kristina is the founder of Business Travel Life. Her love of fitness and travel unified to create a resource for business travelers and road warriors who want to take a healthier approach to business travel. She has traveled for business on and off for the past eight years. Kristina received a Master of Science in Organizational Leadership from Colorado State University and received her Bachelors of Arts in Business Marketing from Chaminade University of Honolulu.